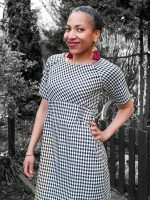 The Parisienne Dress (FREE PATTERN HERE) is really easy to wear. It is loose fitting and, being wide across the shoulders, is particularly flattering for pear-shaped figures (like mine). 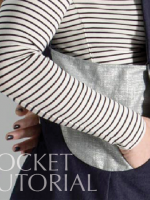 It belts in at the waist and finishes just above the knee. I have made it here, on the left, in a knitted jersey, inspired by some of the beautiful Missoni knitted fabrics I saw in Harvey Nichols the other day. This lovely blue and purple fabric is from Fabworks Mill Shop. 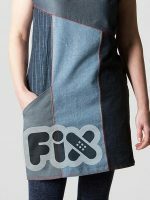 The belt is just some matching fabric folded over a couple of times and oversewn. TOP TIP: I wear a slip under it to stop it clinging to the lumps and bumps as this kind of fabric can. The bottom hem has curved vents at the side which give it a little design difference. 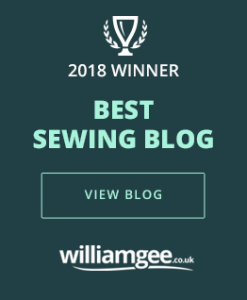 These are finished with bias binding which you can either make out of your leftover scraps of matching fabric (have a look at my post for how to do this) or you can just buy some from a haberdashery store. 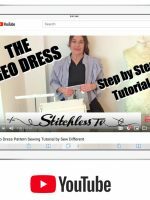 If you are stuck as to how to do it then have a look at my How to… page for finishing curved edges with bias binding. Don’t forget to Stay Stitch your curves! Sewing with stretchy fabrics like a jersey is always a bit of a challenge. Have a look at the How to… page for some tips and hints on how to handle it. I’ve shown a couple of Missoni’s amazing knits just here to inspire you. Knitted fabrics are so soft and comfortable to wear and work equally well as evening wear (for a touch of 70s glamour) or as a casual beach cover up. 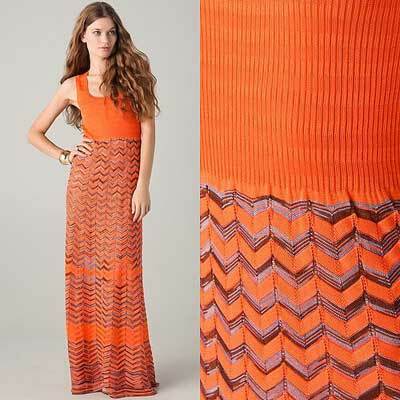 The key to the Parisienne Dress is using a fabric that drapes well. It doesn’t have to be a stretch fabric like I’be used but it does have to hang smoothly and not be at all bulky. Yes, unfortunately I didn’t take a note when I was making it. But I think the Parisienne dress would take no more than 1.5 yards. 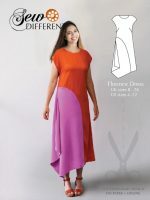 Hi Laura, please can you tell me if your PDF patterns include seam allowance or not? I’m just about to cut out and sew the Parisienne pattern and am poised with my scissors over the material! No my free patterns do not have seam allowance. Many thanks Laura. I do have another question, please. What do you recommend for finishing the neck edges (back and cowl)? I was thinking about making a facing for the back and oversewing/overlooking the cowl. I’m using a light woven fabric, rayon, I think (I was given it, so am not completely sure). Hi Janis, yes, I’d say both those solutions would work. Mine was a stretch jersey so I just did a roll hem but actually a facing will help the shape hold better. 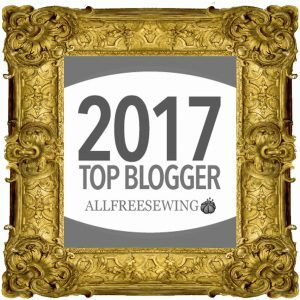 gotta read all you tutorials on knits…not very experienced…ok I’m rambling…thank you for your inspiration! You are extremely talented!! Looking forward to hearing from you! Hi Veronica..There is so much out there already for kids so haven’t really pursued children’s patterns. I love the Mum and daughter / grandaughter idea though.